Founded in 1976, the Washington Calligraphers Guild is a nonprofit organization of more than 500 U.S. and international lettering artists of all skill levels, from professional scribes to enthusiastic beginners and non-calligraphers who appreciate the lettering and book arts. 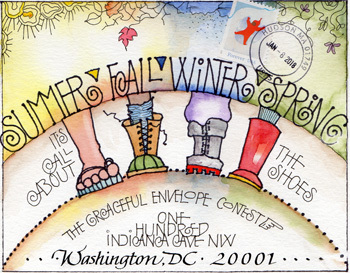 Graceful Envelope Contest ~ 2019 Call for Entries! Meetings ~ Next program - April 13 - COLOR! 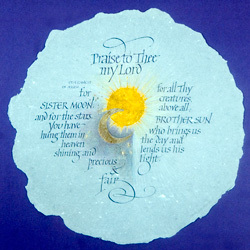 WCG logo at top and "Calligraphy" above by Sheila Waters. 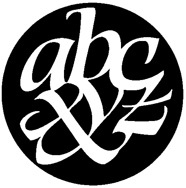 The "abcxyz" artwork displayed along the left side of every page of this website is by Charlie Hughes and © Washington Calligraphers Guild.